There is not one running shoe that's right for everyone and everybody. 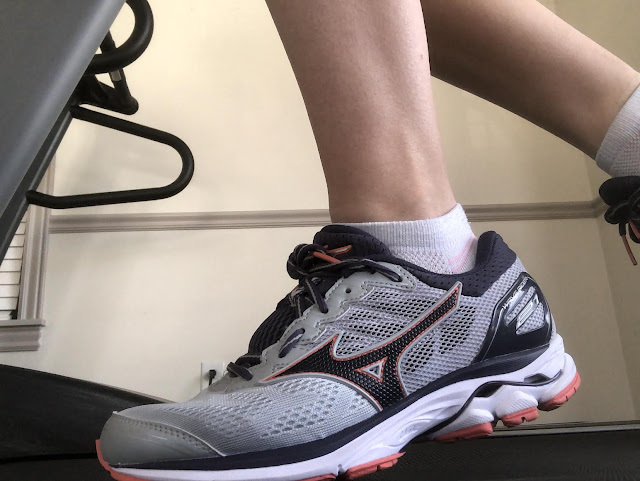 I ran in Nikes to start out and after dealing with shin splints a lot I switched to Mizunos Wave Riders because they had better arch supports. I ran in Mizunos for a long time. But my last pair of shoes were Brooks Launch 3, so I thought I'd do a comparison today. 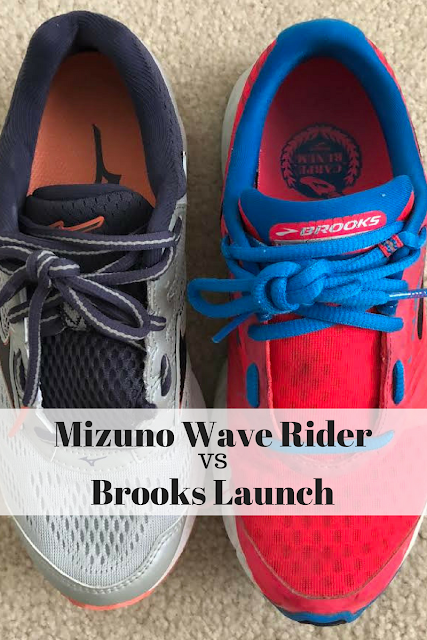 Brooks Launches and Mizuno Wave Riders are both a neutral shoe. So it was a pretty easy to switch over. I didn't have to worry so much about an injury when it came to switching shoes. They both have some pretty good cushion. But not so much cushion that they are like the Hoka shoes (which I have also tried and did not like at all). Looking at running lab tests, both shoes provide an average amount of cushion. They both have kind of a mesh material on the top. But the Brooks don't have much stitching anywhere. Most of the brooks design is an inlay that is on the mesh. These are both pretty light shoes, but the brooks are just a tiny bit lighter by about 1 oz. Honestly, I noticed a difference in that the first time I tried the Launches on. And ultimately that was what swayed me to give them a try. The Brooks are also slightly more flexible than the Mizunos. Which helps provide a better heal to toe transition. So that might be a big factor if you're a heel striker. The wave riders have a rubber plate in the insoles. I'm honestly not sure what this is for. I would assume there is a good reason for it. I just always liked the way it looked. It breaks the insole up so that it doesn't look so bulky. As you can see, the shoes are quite similar. They are both really great shoes and easy to transition between even if you want to. Launches are lighter and slightly more flexible, but I went back to the Wave Riders. I noticed that with the Launches if I ran in the rain or through a puddle they tended to hold water more. Wave Riders will drain water pretty easily. I also like the look of the Mizunos more. I felt like the color combo and the build of the Launches looked kind of like a 90's aerobics instructor haha. 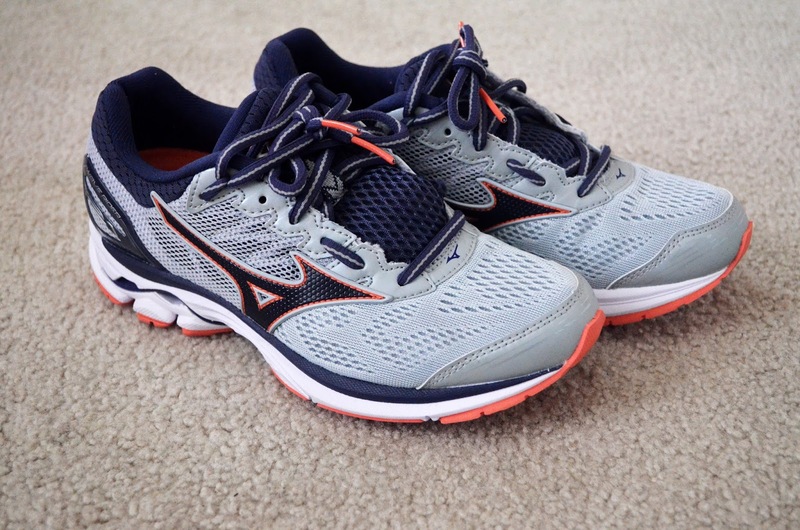 Since the Mizunos have the wave plate that breaks up the insole, it made the Brooks look almost like platforms. The Launches did last a good amount of time but once I replaced them (I wear them now for an everyday walk around shoe) the fabric started getting holes in them. The Mizunos last a long time for me too. You should change your shoes about every 500 miles, but my last Brooks and Mizunos lasted me quite a bit farther than that. HERE is how you know it's time for new running shoes. Most of these things are all based on preference, and just about everything else does too when it comes to finding the right shoes. But these were the main reasons that I went back to Mizuno. And also maybe because I'm just used to them. 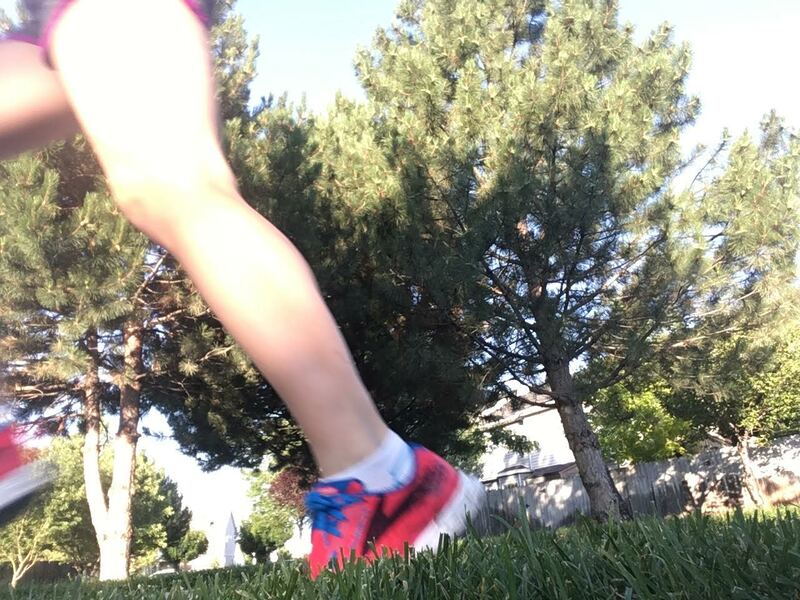 Do you have a favorite running shoe?